Help Church of the Resurrection purchase a permanent home on Capitol Hill. Our near-term goal is to raise $200,000 by May 1. The Church of the Resurrection began in 2003 in the home of Dan and Elise Claire, and has been using rented church facilities on Capitol Hill since 2004. Started as a church plant that plants churches that plant churches, we have been instrumental in establishing ten new churches in metro Washington, the Shenandoah Valley, Boston, Buffalo, Chicago, and the United Kingdom. From the beginning, we have endeavored to be a teaching hospital church, providing learning opportunities for future ecclesial leaders. Many pastoral interns and residents have trained with us, and fifteen have been ordained. We have shared Jesus with thousands of visitors through our services and welcome dinners. Because of our location, we serve those who will someday be leaders in churches and society across the country and around the world. One of the challenges we face is finding a permanent home for our congregation. In the last ten years over 40% of church buildings on Capitol Hill have been sold and repurposed, mostly into luxury condominiums. We currently rent three separate facilities for our worship services and ministries. We are seeking to purchase one property that will serve as a home for us and the generations to come. We are giving sacrificially and reaching out to friends and family to raise $1.83 million toward this purpose. Our near-term goal is to raise $200,000 by May 1. 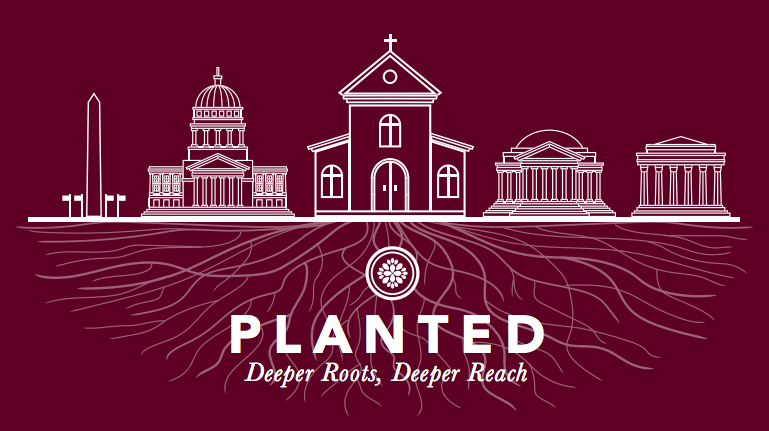 Will you help us plant deeper roots on Capitol Hill?